Researchers have been looking to develop vaccines against cancer for a long time now, and an advancement in that field has just been made thanks to a team of researchers from Scripps Research Institute and the University of Texas Southwestern Medical Center. The team of researchers succeeded in developing a vaccine utilizing an immunotherapy drug that proved 100% effective in treating melanoma within mice. The research team began by analyzing around 100,000 different chemical compounds to find one that could enhance the effectiveness of their chosen immunotherapy drug. Eventually, the research team was able to find a suitable chemical augmentation, a substance dubbed Diprovocim, which is capable of binding to immune receptors in both mice and humans. 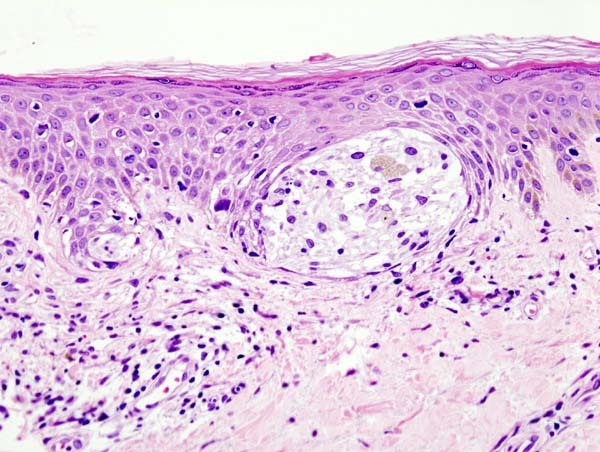 The receptor is called the Toll-like receptor, and after finding the correct chemical augmentation, the researchers started experimenting with Diprovocim compound to see how it could help fight melanoma in mice. The mice that the research team experimented with had an extremely aggressive kind of melanoma that contained the chemical ovalbumin. The reason for the inclusion of ovalbumin was that it acts as a chemical marker that researchers can use to study how the immune system responds to cancer. The ovalbumin triggers an immune response within the host when it detects cancerous cells. The mice were given a particular immunotherapy drug referred to as anti-PD-L, the purpose of which is to enable the host’s immune system to track tumor cells. The mice were then divided into three different test groups. One group received the ovalbumin along with the anti-PD-L, a second group got ovalbumin, anti-PD-L and the Diprovocim meant to stimulate the immune system. The third group was ovalbumin and the anti-PD-L1, but instead of Diprovocim they received the chemical Alum. Alum also activates the immune system, but through a different mechanism than Diprovocim. Each of the rats was given two injections of the chemical cocktail they were assigned, with the second injection coming a week after the first injection. The injection was not sent directly into the tumor, rather it was injected at a site away from the tumor to see if the drugs could help the immune cells detect the tumor cells and navigate toward them. The research team found that the mice in the first group had a zero percent survival rate after 54 days, while the mice that received the Alum had a survival rate of 25%. Shockingly, those that had received the Diprovocim had a 100% survival rate. Dale Boger, one of the researchers from Scripps, explains that the therapy combined an immunotherapy drug and a chemical boosting agent and that the co-therapy was completely effective in treating the melanoma. Boger says that just as a vaccine can be used to train the cells of the body to recognize and combat invading pathogens, the vaccine they developed can train the immune system to combat cancerous cells. According to the research team, the vaccine functions by stimulating the immune system, causing it to start creating leukocytes, special cells designed to suppress cancer cells. The effects of the stimulated immune system stuck around even after the cancer was gone. Not only was the vaccine effective at removing the tumor, but the therapy also staved off recurrence, meaning a reduced likelihood of future relapses. When cancer tried to re-establish tumors in the body of the mice, their immune system was able to effectively suppress cancer. “It wouldn’t take, the animal is already vaccinated against it,” says Boger. The new study is a step forward for the field of cancer immunotherapy. Yet it is important to note that the results have only been demonstrated with mice models and that the tumors were genetically engineered. Much work remains to be done before the therapy could possibly be used in humans. The research team is already looking into securing funding and partnering with companies to do further testing of the Diprovocium-augmented vaccine, aiming to see whether or not the vaccines could be utilized alongside other forms of cancer therapy. The melanoma study wasn’t the only recent study to advance the field of cancer immunotherapy. A recent study published in the Journal of Clinical Investigation challenges current ideas on how immune checkpoint inhibitors work. Immune checkpoint inhibitors are what activate the body’s own immune system, priming it to attack cancerous cells. While many researchers have assumed that checkpoint inhibitors function by targeting the immune cells known as T-cells, the new study shows that they also target Natural Killer cells. 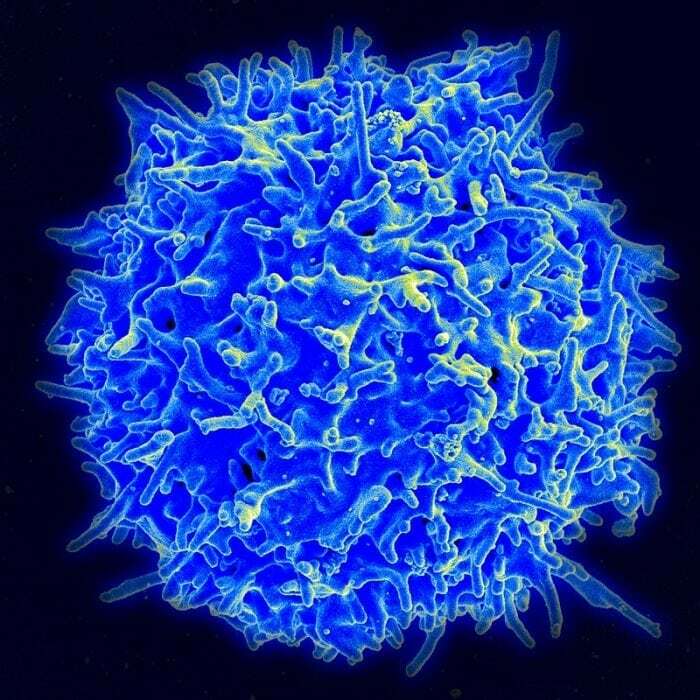 Natural Killer cells (NK cells) are like T-cells in that they can recognize and combat cancer cells, but NK cells operate in a method different from T-cells. While T-cells find cancerous cells by detecting abnormal molecules within cancerous cells, NK cells operate by recognizing larger patterns of change within cancerous cells. NK cells take a wider view of cancer cells, and as a result, they are the first line of defense for the immune system against cancer cells. Dr. David Raulet, a professor at the University of California at Berkeley, explains that the research team believes that NK cells are an overlooked yet important variable when in the field of cancer immunotherapy and that NK-directed immunotherapies may prove successful at combating forms of cancer which aren’t addressed by currently existing therapies. Dr. Rault and colleague Dr. Ardolino, a medical scientist at The Ottawa Hospital, investigated how checkpoint inhibitors worked in mice with respect to the functioning of NK cells and T Cells. The researchers found that the tumors could be shrunk by checkpoint inhibitors even in mice that had no anti-cancer T-cells, which suggests another mechanism at play reducing cancer in response to checkpoint inhibitors. By contrast, mice that didn’t have any NK cells showed a very diminished or non-existent response to the effects of the checkpoint inhibitors, allowing cancer to grow. Furthermore, the research team found that NK cells have extremely similar checkpoint receptor molecules when compared with those found in T-cells. The researchers are hoping to further investigate the role of NK cells in fighting cancer. Dr. Ardolino hopes that someday when people undergo a biopsy for cancer, doctors will have a more complete picture of how the immune system is responding to cancer, which would enable them to give them more effective treatments.